2 Year warranty, 30 day money back guarantee if you are not happy with it. Great for Golf, this will tell you how faraway you are from where you need to hit so you can select the correct club. This is not the cheap type that attempts to work out how faraway you are by measuring the length of the pin. 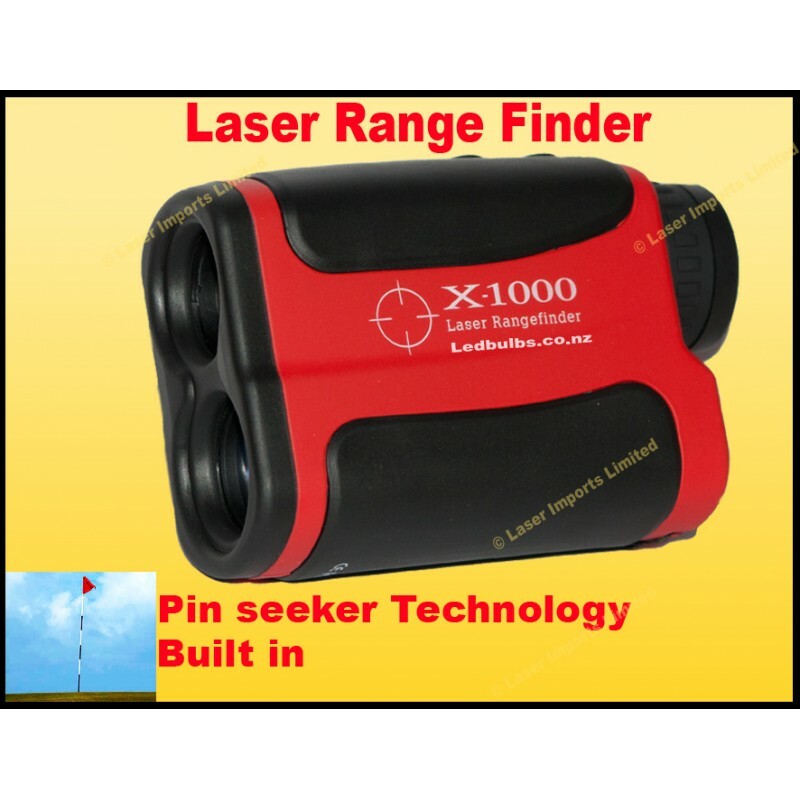 The laser range finder will fire a laser off to the point you want to measure and time how long it takes to reflect back, this is then calculated in to distance + or - 1m! With Pin seeker technology. Range finders with out the pin seeker function struggle to pickup the flag and pin. With pin seeker it will filter out the background and lock in to the pin when you are with in 2-300m of the pin. Hold down the Mode button to change from meters to Yards. Twist the view finder to adjust the dioptics for your vision. It can also be used for hunting and sighting in your rifle. Note: This is not a fake or a copy, It has all the same functions as the expensive brands that sell for twice as much.